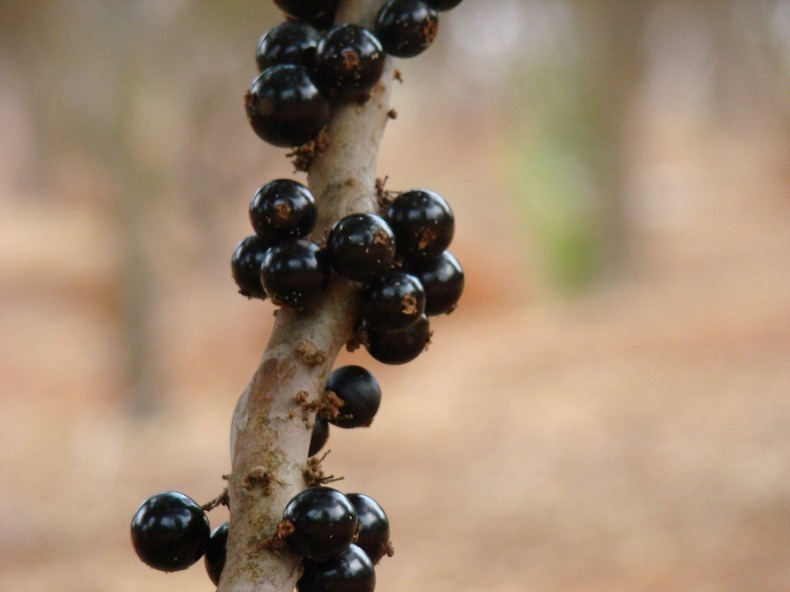 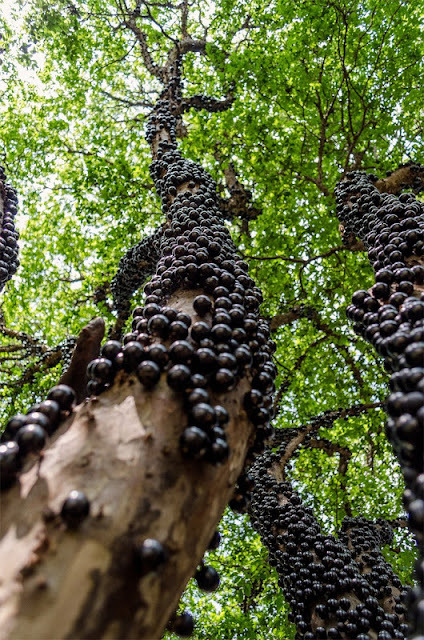 Jabuticaba is a Brazilian grape tree found in the states of Minas Gerias and Sao Paulo, in the south of Brazil. 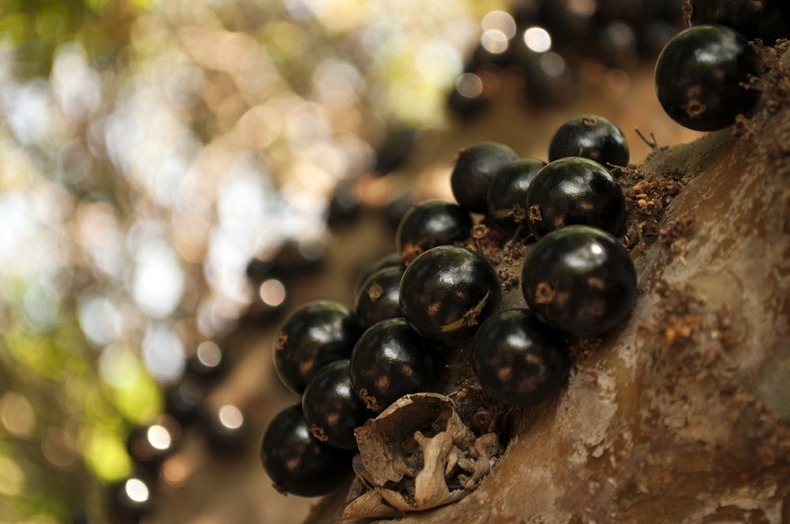 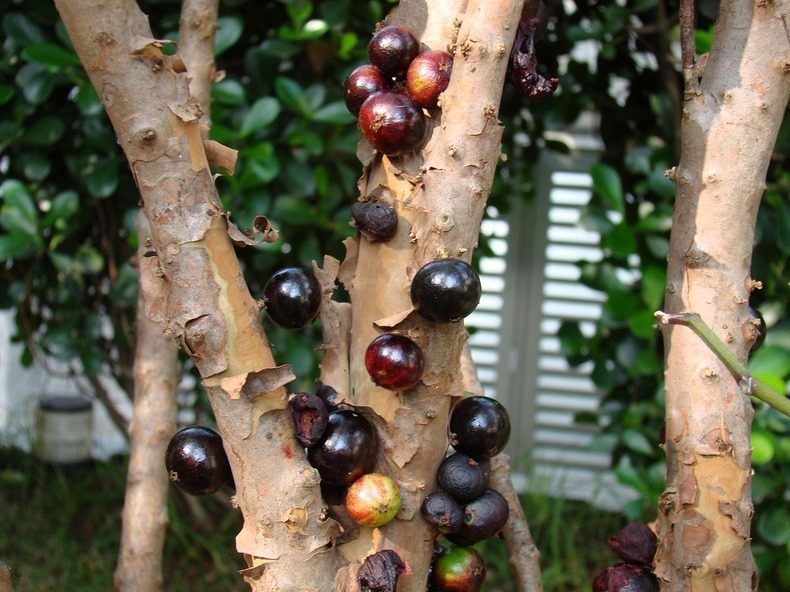 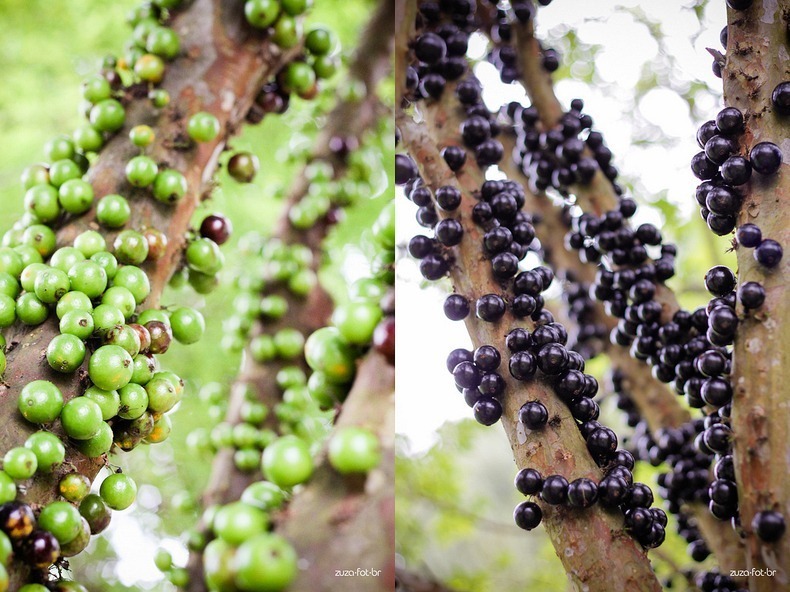 The fruit grows directly from the trunk and branches of the tree, which gives the Jabuticaba tree a very unusual appearance. 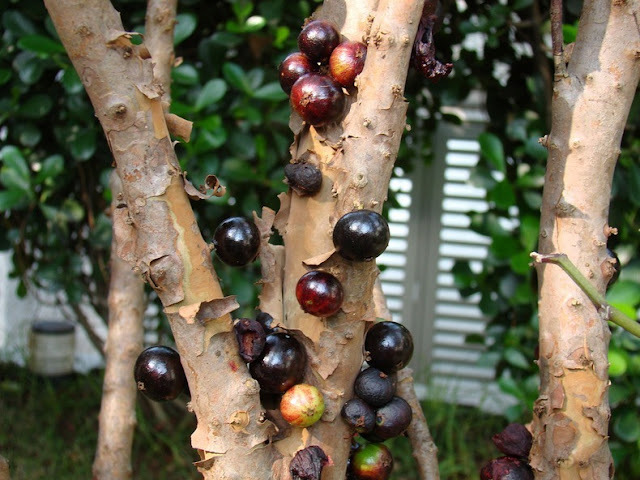 The fruit itself is a small and round, about 3 to 4 cm in diameter, with one to four large seeds, a thick, deep purple colored skin and a sweet, white or rosy pink gelatinous flesh.